This new recording on Ondine includes new orchestral works by Lotta Wennäkoski (b.1970). Wennäkoski’s works are characterised by a rich and colourful sound world that often incorporates unconventional playing techniques and noise. In recent years her range of expression has become gradually broader, deeper and more powerful. 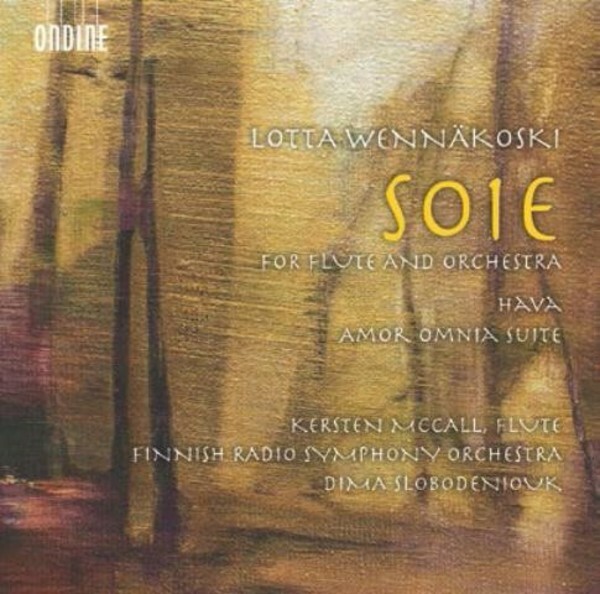 Soie is a concertante work commissioned by the Finnish Radio Symphony Orchestra for flute and orchestra in three movements and placed on the list of recommended works at the UNESCO International Rostrum of Composers. The soloist of the work is Kersten McCall, the principal flutist of the Royal Concertgebouw Orchestra.